This piece consists of 744 handwritten personal memories. It originated as a performative experiment in stream-of-consciousness writing. For three days, I wrote down memories as they came to mind with the goal of resurfacing forgotten memories. The resulting pages are installed not in chronological order, but in the progression of my conscious thought. 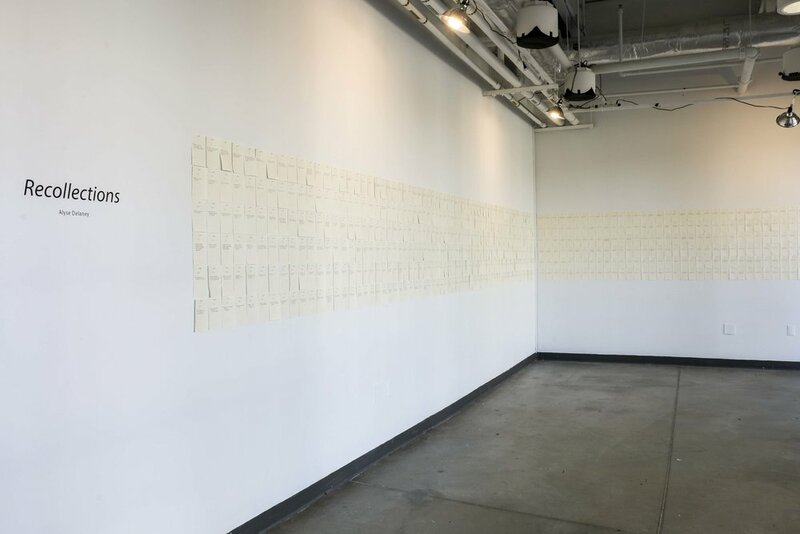 While the project functions as a self-portrait created through the display of my past experiences, each memory is written simple enough so that viewers are able to apply their own experiences to the work. The project as a whole thus generates a sense of shared nostalgia between the artist and audience.